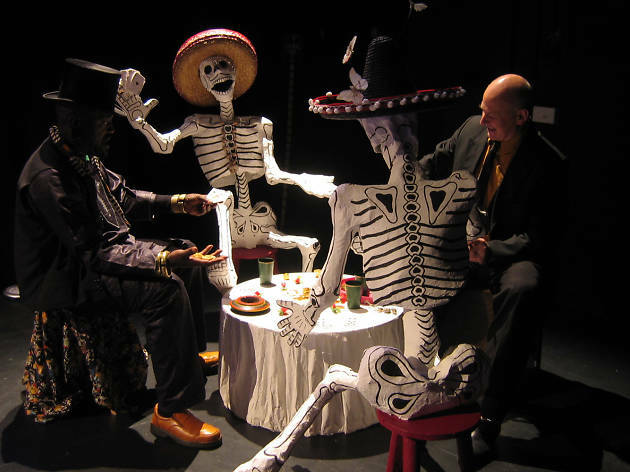 A quartet of storytellers offer tales about God, the Devil and Death in Crick Crack Club's celebration of Dias de Los Muertos. Deceased ancestors are celebrated and the souls of the departed are invited back into this world for an exploration of what it means to shuffle off this mortal coil. 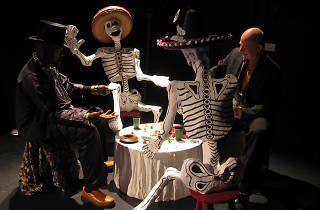 The stage show is inspired by the lively Mexian tradition of attempting to entice the souls of loved ones back into the land of the living for an evening of celebration.